Vip Mat is extremly versitile. It can be used almost in any application without fail. Excellent anti fatigue, non slip and the extra wide bevels ensures easy cart access and minimal trip risk. 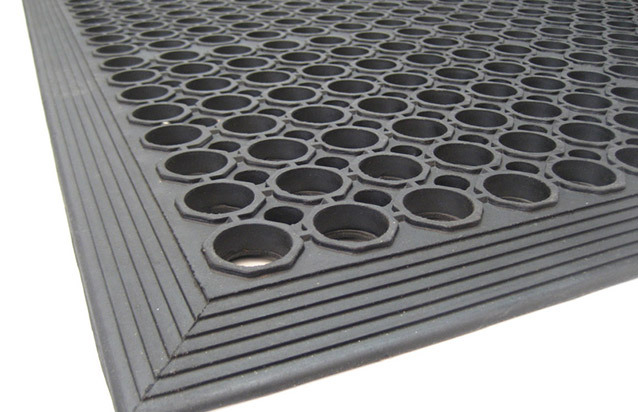 Vip Mat is a premium quality rubber mat which provides excellent drainage, great traction and support. 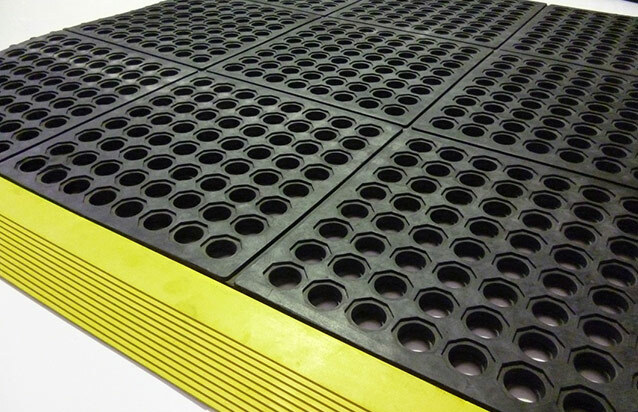 This mat can be used in just about any application ranging from Factory and Industial sites, Kitchens, Bars and Restaurants, Service Stations and Car Wash. It has even be used as a scraping mat in external entrances. The extra wide safety bevelled edges ensure against trips and falls and allow easy cart access. Black is for general wet and dry areas and Red is grease resistant for some greasy areas.